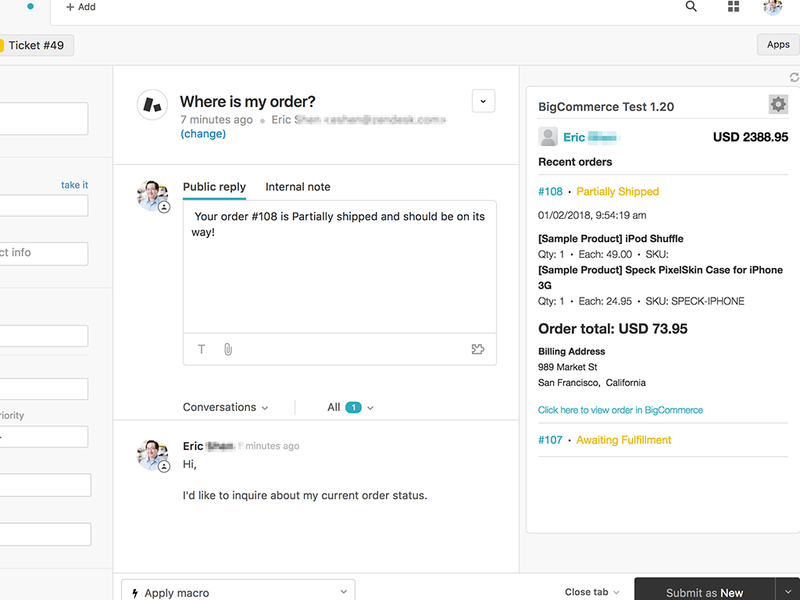 The Zendesk Support for BigCommerce integration unites your business by displaying critical BigCommerce data alongside Zendesk Support ticket information. It saves your agents time because they no longer need to switch between BigCommerce and Zendesk to connect a ticket to an order. This integration unites your business by displaying critical BigCommerce data alongside Zendesk Support ticket information. 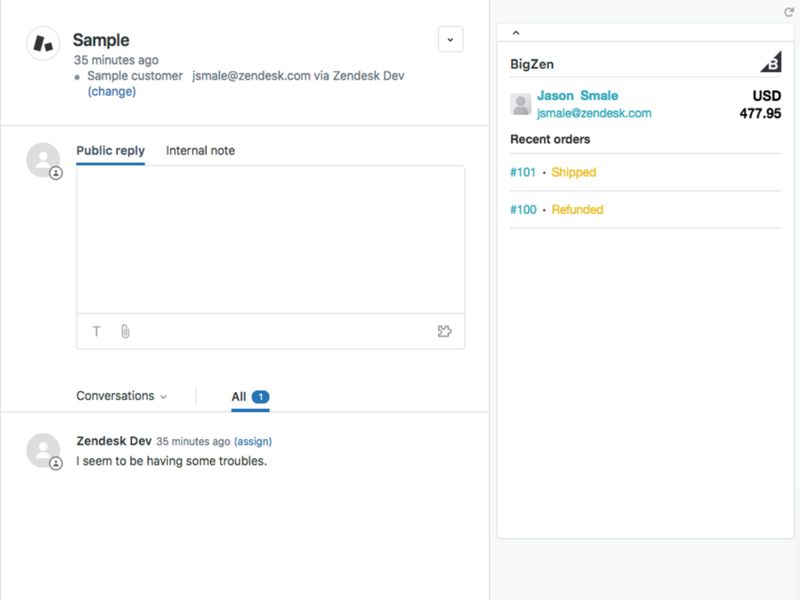 It saves your agents time because they no longer need to switch between BigCommerce and Zendesk to connect a ticket to an order. 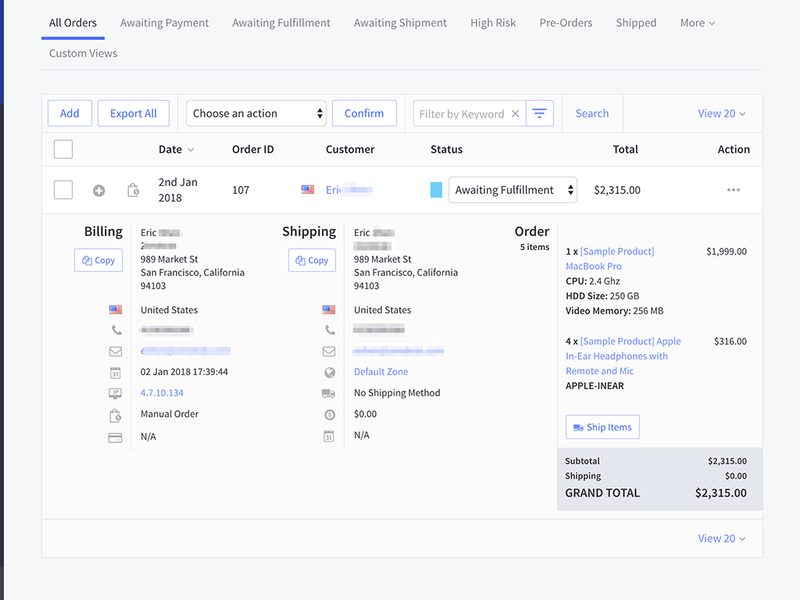 Solve tickets faster by having access to relevant customer data from BigCommerce, such as billing, shipping, notes, and order information, on Zendesk Support ticket pages. Easily navigate to additional data in BigCommerce by simply clicking on Customer Numbers or Order Numbers in Zendesk Support. After you've logged in, you should see the Agent dashboard (the URL is youraccount.zendesk.com/agent). Click the Manage icon ( ) in the sidebar, then select Apps > Browse. Scroll through the list of available Apps until you locate the BigCommerce app. Place your mouse cursor over the BigCommerce app then click Install. The app is now installed and will have added a new custom field to your Zendesk account. If you are using Ticket Forms, make sure field for BigCommerce order ID is added to any forms you want order details to be visible on. To complete installation, navigate to a ticket page and you should see the BigCommerce app installed in your apps tray. This should take you to the general BigCommerce login page. Enter your BigCommerce owner credentials into the “Existing User” section and click Login. Click Launch to complete installation of the app. Return to Zendesk, refresh the page and you should be all set!